High-End-Injection - React Tool & Mold Inc.
At React Tool & Mold Inc. we use high end technology to achieve dynamic accuracy. Our team specializes in detailed mold design with cutting edge mold flow analysis. We are dedicated to providing customers with products of high quality and value in compliance with requirements. 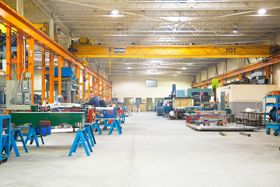 Our flexibility allows for development and manufacturing of major projects or small.